Glenn Spiers, our Head Coach, is a full time, professional judo coach. A 5th Dan (level 3, currently training for Level 4) judo instructor under the BJA, Glenn teaches judo to kids and adults in some of the best clubs in London, places such as the Budokwai (the oldest judo club in the world outside Japan), Carlson Gracie London (where he also trains BJJ, holding a brown belt), and Imperial College Judo Club. Renowned for his excellent tuition, friendly and informal style (and strong ne-waza), he has a ton of experience in both teaching and competing, and he is also a BJA official. In a previous life, Glenn was a school English teacher for some 17 years! Mabast Hussein is our Brazilian jiu-jitsu coach. He started training BJJ at Carlson Gracie London when he was 13 years old and is currently training under 10-times world champion legend Roger Gracie. He is a purple belt and a consistent and keen bjj competitor having won numerous national titles in comps such as the IBJJF London International Open, the British Open, English Open and many more. He has travelled around the world to compete and train with some of the best in the sport. As a result he has a highly sophisticated and well-rounded understanding of the sport and is now keen to pass these skills onto his students. 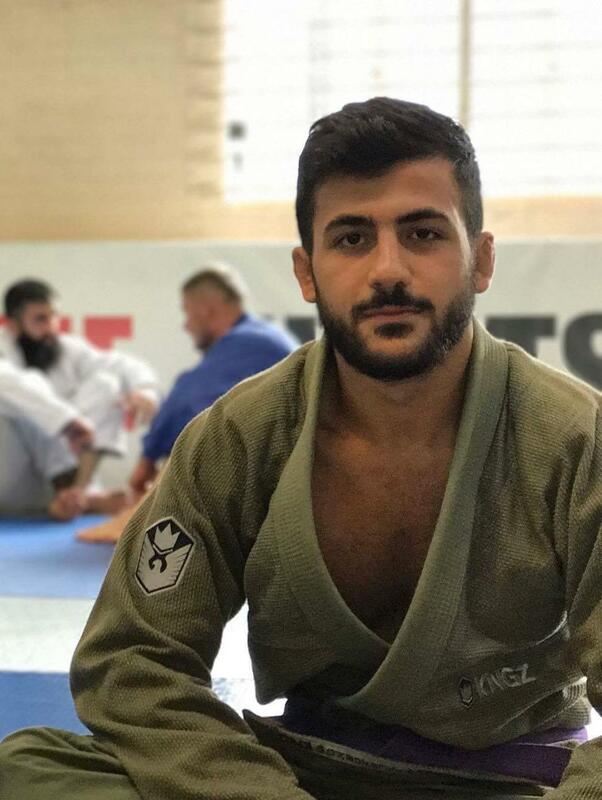 When he is not rolling on some bjj mat, Mabast is an equally hardworking theoretical physics student at Imperial College. Ilya Samorodov, is our Level 1 Sambo coach. Ilya started his Sambo journey at a young age, in his native Lithuania, developing early on a keen interest for competitive Sambo. He held the titles of Lithuanian Sambo Champion and Prize Winner in the cadet and junior divisions multiple times, eventually medalling as Sambo Champion of the Baltic States. Through his Sambo journey, Ilya trained with some of the best in the business. Legendary figures such as USSR Master of Sambo Vladimir Yashkin, 3 times World Sambo Champion Eduardas Rudas, and Lithuanian Combat Sambo champion Alexandr Gorelik. Having moved to the UK as a university student a few years ago, and currently working in the City of London, Ilya remains passionate about spreading Sambo in the UK. Kazuhiko Fuchikawa is a 2nd dan black belt under the All Japan Judo Federation and a Level 1 BJA judo coach. Kazu started judo in his native Japan, where he studied under Andou Katsuhide (安藤勝英) Sensei, and was once a member of Keio University’s judo team. Admired for his effortless style (and feared for his ashi-waza techniques), Kazuhiko has brought to our club a taste of the Japanese judo spirit: technical mastery combined with generosity, modesty, and courtesy (which is probably what the principles of Seiryoku zenyo/maximum efficiency and Jita kyoei/mutual benefit are all about). He is still active on the judo competition scene – and extremely active on the Competition Law one!